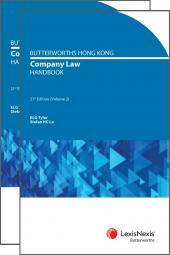 Butterworths Hong Kong Banking Law Handbook (Fourth Edition) provides lawyers engaged in banking practice with a handy reference containing up-to-date materials on the Banking Ordinance (Cap 155), the most important Ordinance pertaining to banking law and practice in Hong Kong. This volume reproduces the text of the Banking Ordinance (Cap 155) as currently in force, together with details on all amendments and repeals made to each section and rule. 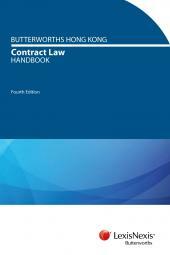 Each section is augmented by detailed annotations referring to relevant judicial decisions, rules of court and other authoritative materials, as well as notes ranging from definitions of words and phrases to discussion on practical aspects and contentious issues. The work is fully referenced with comprehensive tables of cases, legislation, other sources referred to and a glossary of Chinese words and phrases. 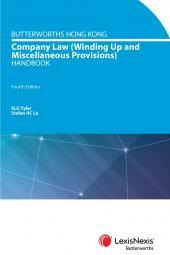 The handbook series has been cited in over one hundred court cases in the superior courts of Hong Kong. This text will be an indispensable companion for adjudicators, auditors, professional accountants, depositors, bank employees, managers, academics, banking and legal practitioners, and all others who are engaged or interested in the dynamic and ever-topical law and practice of banking in Hong Kong.